Next post: Water logged soils- what to do? I’m tempted to plant some stinking hellebores in my shady area after seeing lots of blogs and Carol Klein continually recommending. Like me, you posted a picture of Magnolia stellata, really beautiful this year in my garden because the flowers could open without the showers ruin everything. I feel sorry for poor old Ribes, being given the name “sanguineum”: it’s like saying, “Oh look! Another bloody currant.” Had to look carefully for that comma which I see is being followed by an exclamation mark. 😉 I really like that photo of the horse chestnut too. I agree john and theres the confusion, image growing up being white when your name means red, ok if you are pink, but white when you are red, poor things must be confused like anything! Stinking hellebores: what a nasty name for a really quite exquisite flower. It is all very slow this year isn’t it – good to see it’s not just my garden. 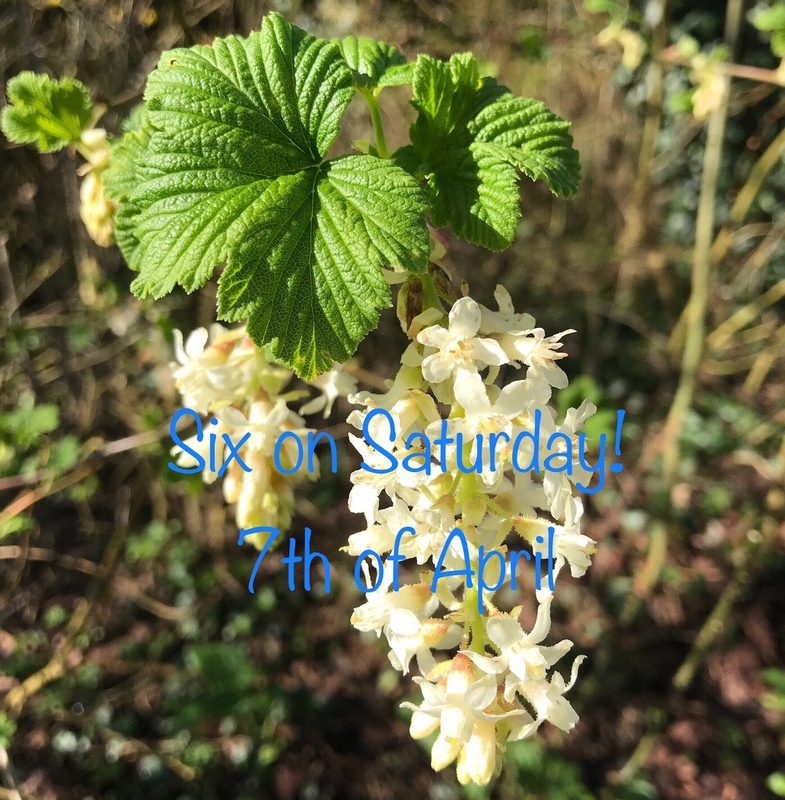 I’ve made a note of the Ribes ‘White Icicle’, very pretty! I’m off to seek 6 worth showing on Six on a Saturday. I do love a nose in a client’s garden. I,too,love that Ribes, but have not encountered the white form before. Very nice. I thought you were talking about the plant not staying still, until I spotted the comma! He is looking a bit worse for wear, isn’t he? I think Euphorbia mysinites wants me. He keeps popping up wherever I am. I love the spiralling scales. Stinking hellebore is wonderful – perfectly timed to hand over to Euphorbia. I love all euphorias as they are so hardy and they tend to self seed all over my garden. I love the acid green flowers. I love that horse chestnut photo! Stunning. My Magnolia is only just budding so it will be a while yet. Thanks for sharing photos from your clients garden; you have a fab job! I wonder if the plant I am coveting in my neighbour’s garden is a ribes. It is red and looks great from my side of the fence. And thank you for another euphorbia to investigate. I like the lime green too. Magnolia looking splendid. Mine is doing it’s thang now too. A comma! What a treat, don’t worry I can imagine it fully open. That euphorbia is one of my favourites too, a little other-worldly, in a nice way. So pleased you have had some good weather, we had one day, then back to normal. Going to attempt a little home gardening today, fingers crossed …..
Great photos of some beautiful plants. The horse chestnut looks weird and wonderful and that magnolia really is a star.